We should all have seen this coming when Facebook first made their acquisition of Oculus VR back in 2014 for a sum of $2 billion. 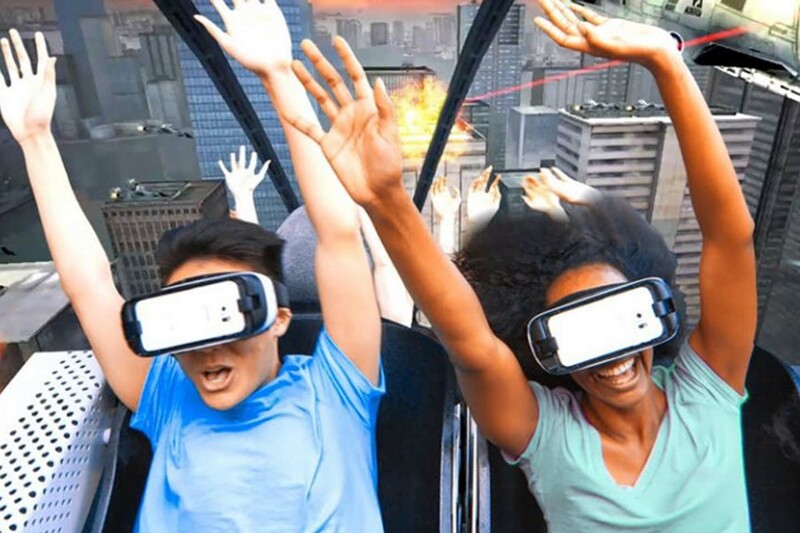 Tech M&A advisory firm Digi-Capital has even put forth postulations that suggest that the combined virtual and augmented reality markets will surge exponentially to heights of $120 billion by the end of the next decade. But with VR’s narrower appeal, it is only expected to eat up about $30 billion of that pie, owing to just games, movies, and experiences, as compared to its counterpart. “A new computing platform always emerges every 10 or 15 years. VR is currently the most promising candidate.” according to Mark Zuckerberg. The start of the current iPhone revolution back in 2007, would mean that VR hardware will likely take centerstage between 2017 and 2022. If tech companies were to have any lessons to learn from, it would be Microsoft’s failure to latch on the touchscreen bandwagon fast enough a decade ago, which gave Apple a three year headstart in remaining at the forefront of the tech market. Microsoft now though, has taken that cringe-worthy period to heart and come up with its very own HoloLens AR headset. Not a very formidable name but its managed to garner support from over a hundred headset manufacturers and a whole load of apps for both iOS and Android markets. What started off with just an open source set of plans for the hardware, software development kits for Android devices and Unity, is now a source of incredulous reactions by marketeers who have flocked to this extremely inexpensive ecosystem, as compared to the smartphone that it requires to run with. And because it is so damn cheap, marketers have been able to give them away by the droves i.e New York Times gave away 1.3 million headsets last October. It can’t be dismissed too easily considering its huge price advantage and the sheer size of its user base, which could help make it catch up in terms of quality of technology. Supported by Facebook and Samsung, and by far the oldest and most established of the lot judging from its appearance on numerous magazine covers thus far, the Oculus Rift requires a high end computer, and has a number of high end games (Eve Valkyrie, Alien: Isolation, Euro Truck Simulator 2) being lined up for it to fully maximise its superior graphics capabilities and processing power. With many consumers already possessing a console at home, having to purchase a headset and a console won’t pose much of a deterrence. Sony’s incredible distribution channel and strong relations with game developers will have put it in good stead in the virtual reality race. Their closed, proprietary ecosystem will have the same price barrier as the Oculus and already has games announced: Ubisoft’s Eagle Flight, Rez Infinite, Modern Zombie Taxi Co, Job Simulator etc. Valve’s answer to the Oculus Rift is their main flagship product, the HTC Vive, which is also happens to be the most expensive headset on the market as of now. Its distribution challenges have been taken head on by HTC, by getting the sets over to developers as much as possible, with the relationship between Valve and Steam VR likely to be useful. Partners for content are namely HBO, Lionsgate and a number of independent game studios, spelling promising times for their ecosystem. Backed by Razer, Leap Motion, Jaunt, Intel and Ubisoft, the OSVR is an open source project has come up with a hacker development kit for about USD 300, in a bid to provide an alternative to proprietary platforms like the aforementioned ones. This is to make up of course for their pricing disadvantage because of a lesser reputable brand and networks to go along with. Postulations are, like the word suggests, mere speculation. But the fact that a huge name like Facebook has taken the leap goes to show that it can challenge the likes of Google’s Youtube in time to come and also give rise to our imagination of a future where even the possibility of developing a brain-machine interface tapping directly into the nervous system might not be such a jaw dropping affair.